Strasbourg, 11 June 2014 - A delegation of the Congress of Local and Regional Authorities of the Council of Europe will observe the local elections in Georgia scheduled for 15 June 2014. Headed by Jos Wienen (The Netherlands, EPP/CCE), the delegation is composed of 22 members, including members of the EU Committee of the Regions. A pre-electoral visit was carried out on 28 - 29 May 2014 to assess the campaign environment and the state of the preparations for the vote. In view of Election Day, the Head of the Congress delegation Jos Wienen encouraged the Georgian government to do its utmost to ensure fair campaigning in a peaceful and democratic environment during the remaining days before the vote next Sunday. “I took note of the Government’s pledge to hold local elections of the highest democratic standards, to condemn any form of violence and to ensure the appropriate follow-up of each specific case of violation of the law. The competition between the political parties and candidates during election campaigns may be controversial, but should never be characterised by degrading or hateful discourse or action. A system of checks and balances is the basic precondition of a mature democratic landscape in which government and opposition both have their roles to play and should act responsibly towards those who are invited to make their decision on Election Day - the people”, Mr Wienen said. 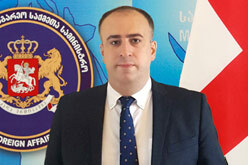 On 12 - 13 June, the delegation will meet with representatives of the government, including Tea Tsulukiani, Minister of Justice and Chairperson of the IATF (Inter-Agency Task Force for Free and Fair Elections), and representatives of the Ministry of Regional Development and Infrastructure of Georgia. The delegation will also meet with members of the Central Election Commission of Georgia (CEC), the State Services Development Agency as well as State Audit Office. Exchanges of views are also planned with candidates for the post of Mayor of Tbilisi, members of the Georgian delegation to the Congress, as well as representatives of the Georgian local self-government association NALAG. Finally, the delegation will meet with representatives of the diplomatic community, international and Georgian civil society and the media. On 14 June the delegation will be deployed to different regions of the country to meet with local NGO representatives and domestic long-term observers, in preparation of the observation of the vote on 15 June. A Press Conference is scheduled for Monday, 16 June 2014 in Tbilisi at 11:30 am(venue: Meeting room 2, Hotel Marriott Courtyard) to present the preliminary conclusions of the delegation.